Personal trainer David Last has seen clients undo hard work during the party season, but there are ways to limit the damage. STATISTICALLY IT’S AROUND this time of the year where we can drop off a little with our exercise routine. It’s generally a more challenging time of the year for most to get up and go when it comes to exercise — and that’s perfectly understandable. With Christmas only around the corner, daylight a little shorter and a real sense of winter in the air it really can be a testing time to stay on track, but now is the time to remain focused so you can finish the year strong, fit and healthy. December is a month of good things, like Christmas parties and family catch-ups and it is important to enjoy the festivities, while also remaining fully aware of the following points you can implement to ensure you don’t fall off the wagon completely. Like I said above, December is a time when we want to enjoy ourselves. It’s the time of year we tend to eat and drink more than usual and there are more late nights than our bodies are used to. With that being said, you can prepare yourself over the next couple of weeks, all the while focused on something you can look forward to at the end of it. If December is the month to enjoy, November is a month you can really attack full of intent. The Christmas events will be here before we know it so why not get going now and stay focused on the plan. Put the head down with your regime, remain disciplined and focused on your nutrition and you will feel a lot better when the time comes to overindulge. The excuses come out in December. The weather is too cold, there is no time to train, the mince pies had to be eaten. But if you are serious about your goals, what’s the point in putting it all on hold until January, at which point the damage is considerably worse after a big Christmas. Don’t get me wrong, enjoy Christmas. Eat and drink, and have a good time. But if you limit the damage by planning it out, remaining cognisant of just how far you can fall off track with a couple of bad days, and nights. Keep it varied, fun and effective and make it something that will push you a little and of course an activity that you might actually enjoy. If you are totally lost for motivation at this time of the year then seek out some accountability. Find ways that will keep you on track. 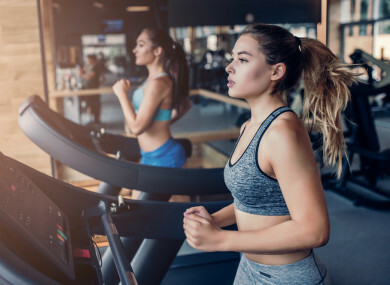 Having a personal trainer, a workout buddy or even a weekly workout class to check in with is something that can only help your fitness and health goals. Having a goal is key. There is no better feeling than sticking to your plan towards that goal and then achieving it. For some of you that was seen at the Dublin Marathon last month. Finishing 2018 on a high is something that can only keep you focused and on track as we head towards December. This could be anything from wanting to drop a dress or jeans size for Christmas, completing an event before the year is out such as a Santa fun run for charity or even just wanting to feel healthier and better about yourself at the turn of the year. Writing down your goals and visualising them is something that will keep you on track. In previous articles I have highlighted certain vitamins, minerals and supplements that can be of huge benefit to your overall health. With the change in weather this is the time we start to hear of flus, viruses and bugs going around. I would encourage people to start the day with a healthy kick. It’s more important than ever around this time of the year to stock up on your vitamins and minerals to help you stay in good health. All of these tips will help keep your immune system in check over the winter and Christmas party season. The bottom line? Be smart about it. Have fun, enjoy yourself, see family and friends, but it doesn’t need to turn into a time of regret. Keep the head down, work hard and reap the rewards. Email “Christmas is coming! Tips to ensure you stay on track ahead of the festive period ”. Feedback on “Christmas is coming! Tips to ensure you stay on track ahead of the festive period ”.